Chocolate santas and advent calendars for sale now !!! The sale of our popular chocolate santas and advents calendars has began !! 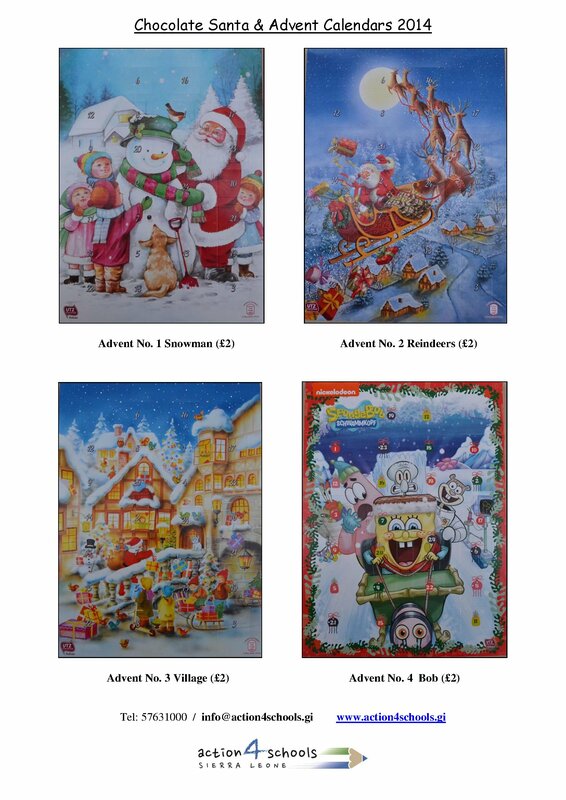 Advent calendars and chocolate santas are only £2 each, thank you for supporting our chocolate fundraiser ! Place your orders via e-mail to info@action4schools.gi and we will deliver to you. Volunteers are needed to deliver chocolates to offices and other places in Gibraltar, please contact info@action4schools.gi to volunteer, thank you for making a difference !